This is a simple activity that can be used on many different levels . You can work with the children with key individual words,a series of nouns with adjectives, question , sentence , complex sentence or short text . 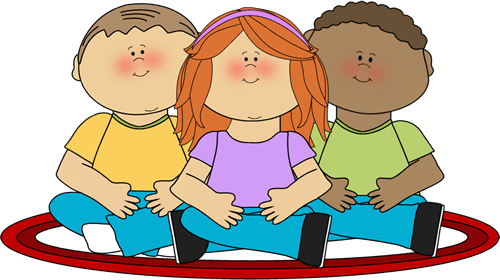 Seat the class on the carpet in front of you or with older children if they are sitting at their desks or tables make sure that they can see clearly the children you select to participate in the physical activity who will be placed at either side of the room. All the class are involved in this activity and it's based on the idea of sending messages by smoke signals.Select two pairs of children - one pair to send the smoke signals and one pair to receive and interpret the smoke signals . It also means that you could organise the pairings so that a more able reader works with a less able target language reader and a more able target language writer works with a less able target language writer . The children seated in the class are the observers, who working in pairs must whisper what they see and say it quietly to each other in the target language and then write on white boards what they think the target language message is that has been sent . These two pairs should stand on either side of the classroom or carpet visible to all the children . Pair one has a smoke signal card with a message in the target language written clearly on it .They must not show it anyone else and they should be given 60 seconds thinking time to work out the meaning and to decide on a mime .Pair two have an empty smoke signal card and a pen. They will watch the mime , have 60 seconds thinking and discussing time and then working together write down in the target language what they think the message is . Meantime the children seated in the class observe the mime, think of its meaning, discuss this with their partner and write down on their whiteboards the phrases they think were passed as smoke signals above their heads from pair one to pair two . Here's an example of the Smoke Signals that we will be using during the Summer term with Year 5 . They will revisit the weather and ice cream flavours during their going to the beach language learning focus.We are working on writing longer sentences and asking questions . The children will be creating spoken presentations and dialogues about going to the beach and reasons to go to the beach in the target language. We can play the game with different messages and can encourage the children to create their own table or group Smoke Signal games , where working with a table of six children - two children create the written message and mime it , two children observe and record what they see and two children feedback what they think was sent as a message and should have been written down .